Imagine at 23 you land a gig at the White House. That may or not excite you depending on who’s sitting in the oval office, but, play along here for a moment. You got this gig at the White House, not because you had an Ivy League education, or because your family had money, or because you had an inside connection. You got it because you knew building relationships was key to stepping out of the closet to thrive and be successful. Then after testing your theory in The White House, you realized this relationship building thing can really get you places and has legs, so why not walk-the-walk, and talk-the-talk. As simple and scary as building relationships can be, they are the key to just about everything in life, starting with building relationships as a kid. We all did it, even if it scared the crap out of us, but we did it. Whether we wer building relationships with our siblings, parents, kids next door, or kids at school, the art of building relationships starts at a young age, and sometimes requires really bold moves. 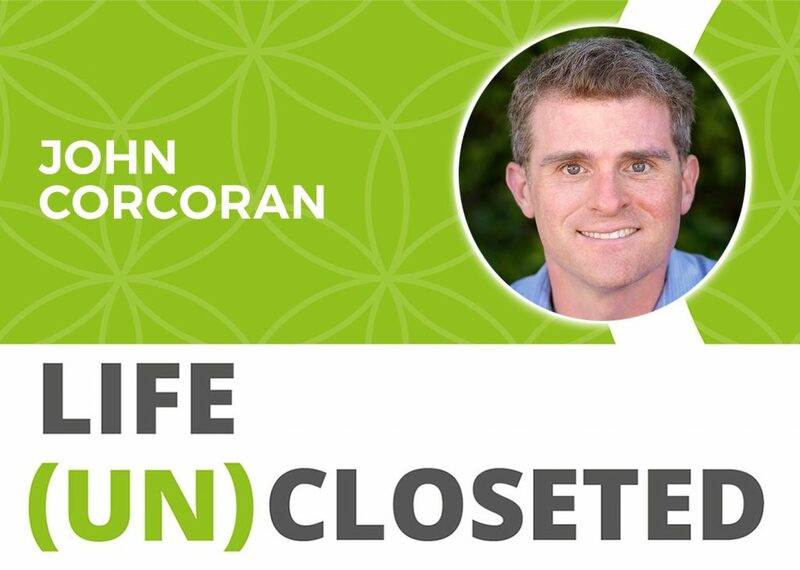 Today’s guest, John Corcoran, father of 4, and soon to be proud minivan owner, shares why it is so important to uncloset yourself into creating bold relationships; not so that someone can do something for you, but so you can do something for them. John’s calling as a relationship builder, has helped him rise to the occasion and as he helps others rise to the occasion of building relationships so they can create the relationships that grow their business and their life, without coming off as a schmuck. John Corcoran has worked in Hollywood, written speeches for President Bill Clinton and lost his job when Arnold Schwarzenegger became the Governator. Even though he’s lived in California most of his life, he is the world’s worst surfer, although he does speak Valley Girl fluently. His day job is working with small business owners and entrepreneurs as a lawyer and business advisor. He has been profiled in Forbes and in the books Entrepreneurial You and Stand Out by Dorie Clark and The Successful Mistake by Matthew Turner, and his writing has appeared in Forbes, Entrepreneur, Huffington Post, Art of Manliness, Lifehacker, Business Insider, Get Rich Slowly and numerous other publications, blogs and websites.